Intro Maker provides a variety of different animations to choose from, depending on several aspects such as the video category, expected audience and so on. 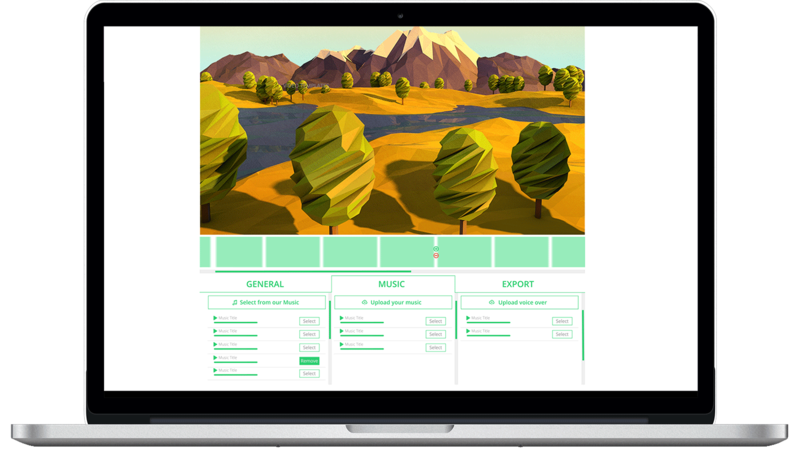 It is one of the widest template categories provided by Renderforest, and is a good option for individuals who are interested in experimenting with various animations. There are several different animations to choose from, including simple ones such as Simple Logo Reveal and Shattering Logo Animation, to more complex ones such as Abstract Universe. These templates are ideal for Renderforest newcomers, who haven’t had the chance to explore all of the categories just yet. Create a stylish Neon Power Logo Reveal template. Featured with a cool neon atmosphere and high contrast look this template perfectly suits for presentations, online channels, introductions and more. Create your wished logo animation and get an entirely new opener for your youtube video. Simply drop your logo and text into the timeline, and render. Reveal your logo with a stylized Liquid Splashes. Use this creative, beautiful and artistic logo template to showcase your company logo in a colorful and expressive way. Perfect for introduction and outro videos, as a lobby background, or as a way to begin a presentation. Simply upload your logo on transparent background, and we'll take care about the rest. Try it today for free. Featuring exciting fire and burning effects, the Fly-In Fire Logo template is a great way to promote your company logo. This logo reveal is suited for getting your audience excited and fired up. It’s an ideal opener for websites, presentations, video channels or any other video production project. Just upload your logo , and get a unique and professional video project in minutes. The Neon Light Room logo reveal template features neon lights, flat black backgrounds and a modern look. Engage your customers with edgy graphics and pointed, digital sound effects. Simply upload your logo, alter your text in the timeline and click render. Try it out today! Use our 3D animation maker to create this logo animation project that features breaking glass effect. This project will help you to create your logo animation that can be used as intro or outro to any of your videos. Engage your audience with the help of this 3D mystic ocean logo animation template. It's a fresh, calm video with powerful and smooth animation, which wake up nutty emotions and attract the attention of your viewers. Can be used as an intro or outro to various videos. Make great 3D free animations using your logo and website URL. You can use your 3D animation at the beginning or end of various video content.